Love the burst of colors on the black background. 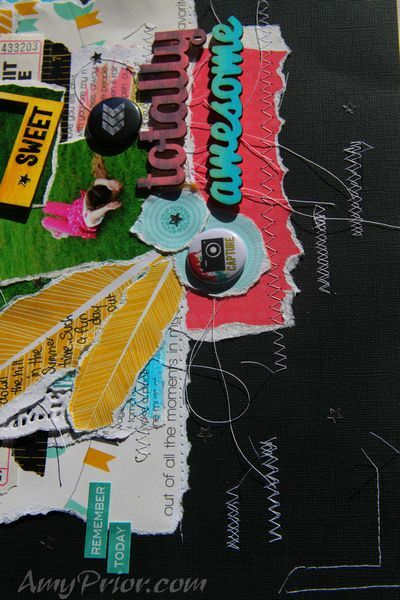 The journaling looks FAB on the feather. 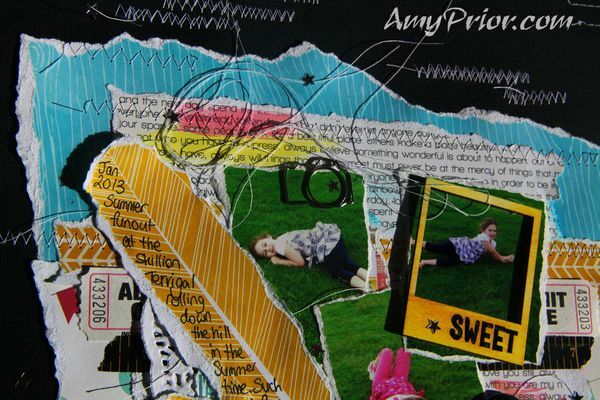 Lovely page, Amy!! 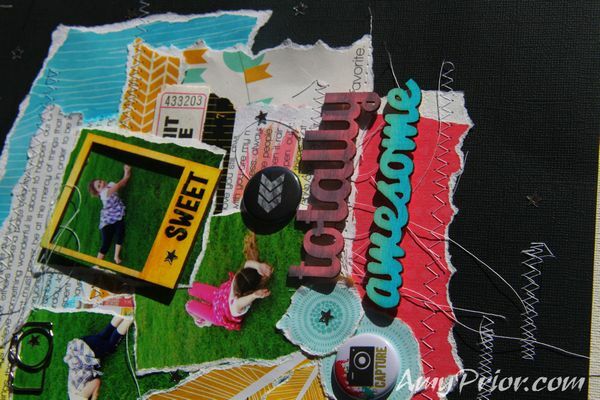 love all the zig zag stitching and the sweet pictures…so cool that you wrote the journaling on the feather! Thanks for playing along with us at Berry71Bleu! !